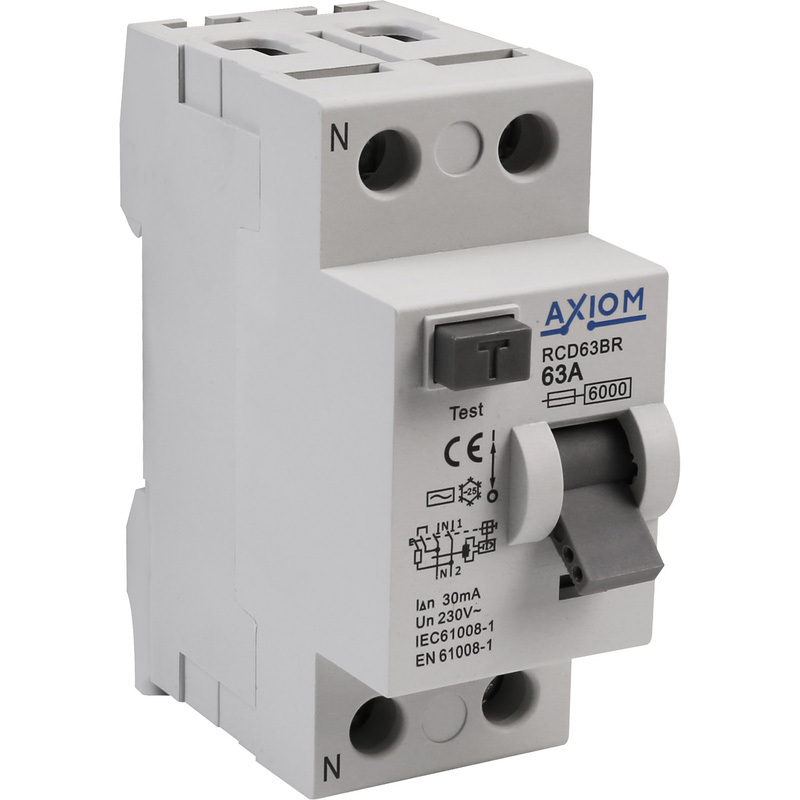 Axiom 2 Pole RCD 30mA - 63A is rated 4.4 out of 5 by 5. Rated 4 out of 5 by markjnm from Worked Nicely Even though the product in the box didn't match the picture on the website it still did the job. Rated 5 out of 5 by Gobi from Great RCD and cheaper Quick delivery and I did not see any issue with this RCD. Rated 4 out of 5 by Shucks from Great item Although this switch is not exactly what I want it will do the job, it seems quite robust & should last a long time.